Wisdom Teeth Removal: Why Choose an Oral Surgeon? Are your newly-erupted wisdom teeth causing problems like impaction or infection? Are they causing orthodontic issues by crowding your other teeth? There are a number of things that can go wrong when these third molars decide to erupt — and when problems occur, extraction is most often the preferred choice to restore oral health. But who should perform the removal? While a regular dentist is qualified to complete a wisdom tooth extraction, we advise visiting an oral surgeon for expert care with your wisdom teeth removal. Your dentist is the person you’ve trusted for everything related to your oral health — general checkups, fillings and maybe even a root canal or cosmetic treatment. But when it comes time for a dental extraction, don’t you want to choose an oral surgeon who specializes in the job? This more complicated procedure requires an expert hand. Oral surgeons have the experience and know-how necessary to perform wisdom teeth removals — keep reading to learn more about what an oral surgeon has to offer. One big benefit to choosing an oral surgeon to perform your wisdom teeth extraction is that their office comes equipped with dedicated facilities for your oral surgery, meaning you’re sure to receive the best, most comfortable care before, during and after your procedure. You’ll go from a warm reception area to the state-of-the art operating room right into the relaxing post-care room, where you’ll emerge from anaesthesia at your own pace. With oral surgery performed by an oral surgeon, you get all the benefits of expert care. Another reason it’s best to choose an oral surgeon for your wisdom teeth extraction is the fact that these professionals are highly trained in performing sedation or anaesthesia. Many regular dental offices are unqualified to administer anything beyond nitrous oxide, or laughing gas — but modern dentistry doesn’t have to be uncomfortable. Your oral surgeon can make sure you’re totally relaxed and removed from your procedure with general anaesthesia. If you need your wisdom teeth removed, don’t wait any longer to receive the excellent care you deserve. At Piney Point, our experts Dr. Koo and Dr. Weil are your Houston oral surgeons who can provide you with a comfortable, quality procedure. Learn more by contacting our office today! by: Dr. Steve Koo at February 23, 2016 . 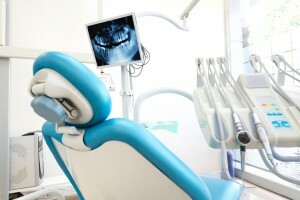 Comments Off on Wisdom Teeth Removal: Why Choose an Oral Surgeon?